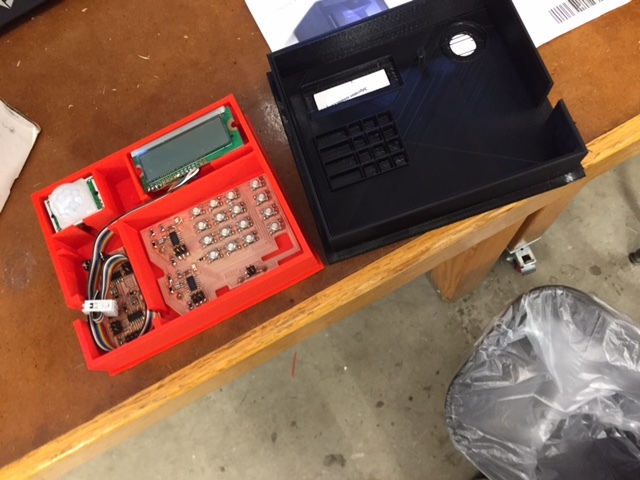 In my final project I designed a home alarm keypad. 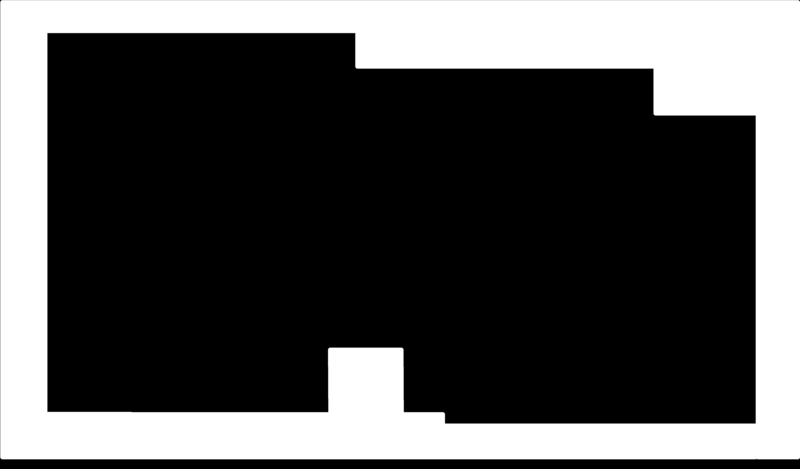 The keypad takes in button inputs for a code and arms. Once it is armed it waits to be triggered by motion from the Pyro sensor and then counts down and sets off the alarm. During the countdown or once the alarm is going off the user can input the correct code and it will disarm. 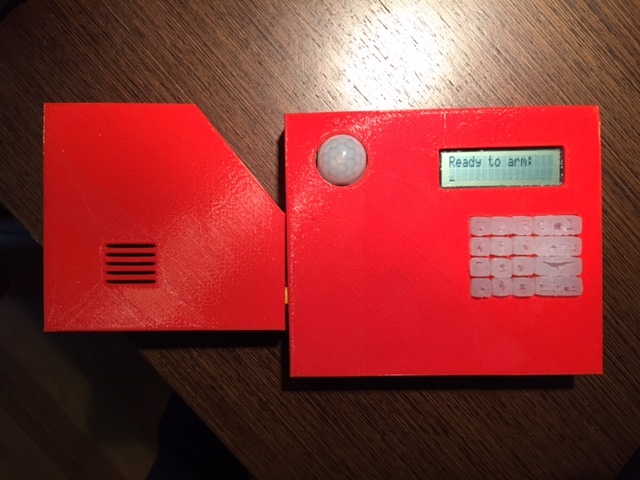 I designed this keypad in the hopes of extending it into something useful for my home so I added in a couple of extra buttons and room for additional periferals so that it could ideally eventually communicate with wireless door sensors and send my text notifications of events over the internet. 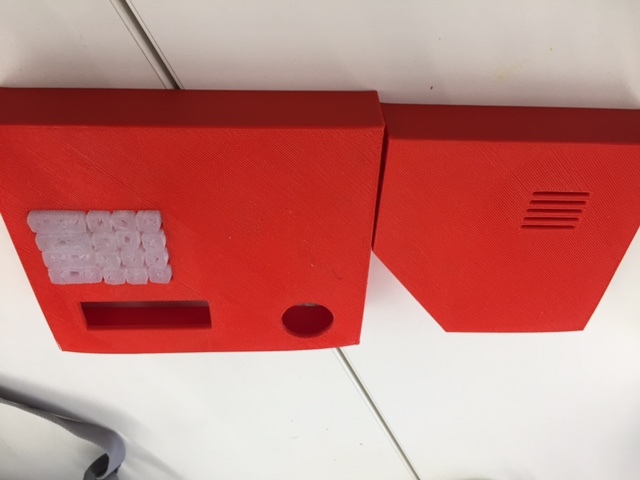 I 3D printed the enclosure and made silicon buttons from a mold. My electronics were a sereies of networked boards. All of the various components can be explored in much more detail in the following secionts, but I will first describe the process at a high level. In terms of what has been done before, as far as I know no one has done a home alarm system keypad. However, there have been a variety of alarm clocks produced, and one past HTMer even made a beautiful multilevel molded keypad. In most of those projects a lot of work went into a beautifully designed enclosure. For me, the electronis and functionality were more important and the enclosure simply needed to hold everything in place and allow for the buttons to work. 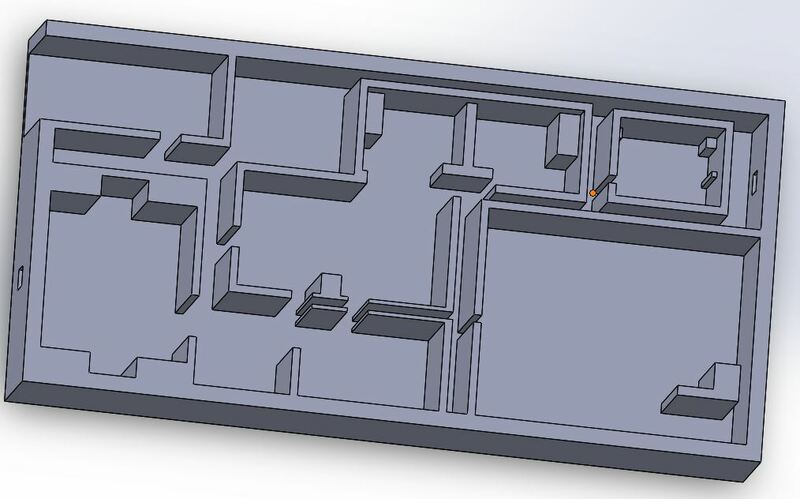 Therefore my enclosure design was much more complicated on the inside than outside. However, I did end up still spending a lot of time on it. In the end I found that I can 100% produce such a device. 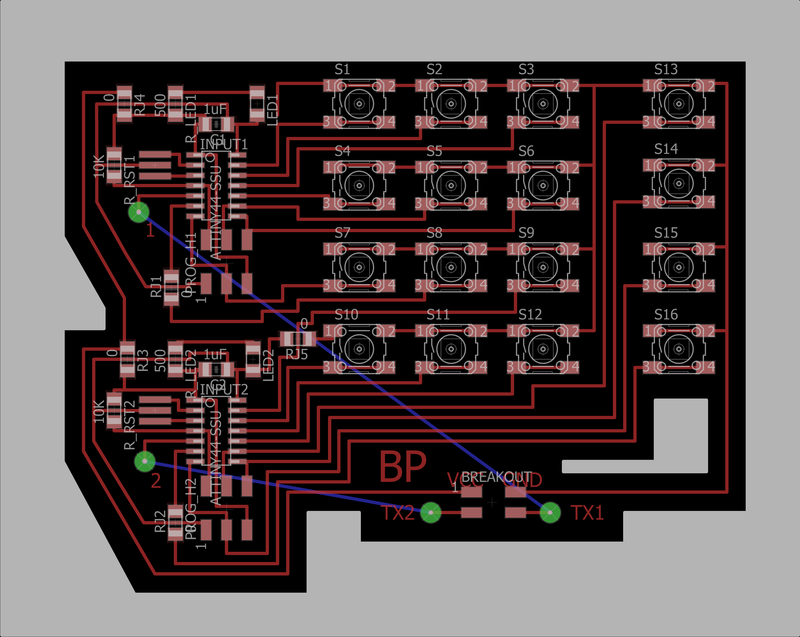 However, I need to significantly reduce the size of my various components and leverage more timers and interrupts ideally on a higher pin count device such as an XMega so that I can reduce the footprint into something small enough to be used practically. 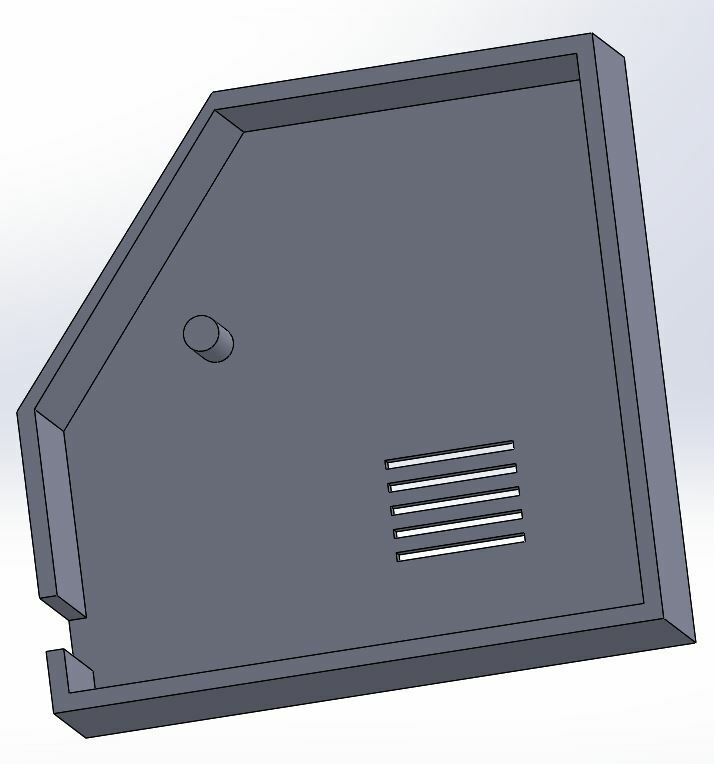 I also would like to avoid 3D printing for the enclosure if possible in the future as it is such a time consuming processs. Since my enclosure really needs to simply hold everything in place I was thinking that I could simply lazer cut some layers of acrylic to form the same kind of final result after gluing the layers together or have an acrylic faceplate on top of a simple wood box. That said, I actually don't think it would be that hard to redesign and add on the additional components I want to add on in order to produce something I could actually use so I am very happy with everything I learned this semesters. I also learned that if I ever do have to 3D print things again I will always go to the 3DWox first. It was so reliable and everything else wasn't! I also still want to build that table I was hoping to build someday! 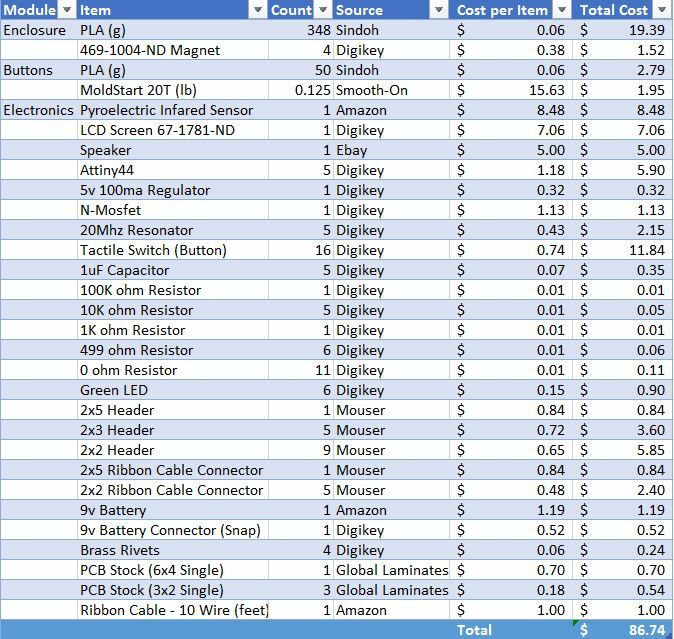 In week 1 I learned CAD for the first time and came up with the basic design of the table that I want to build (sans electrical-mechanical components). Commentary on that experience can be found here. However, while I do really really want to build that table at some point I figured out in the make something big week that I really don't have the time to do all the woodworking I want to do this semester, especially not a large table. It is now output devices week and I still haven't finished the woodworking for the make something big week. It is time for a different final project. 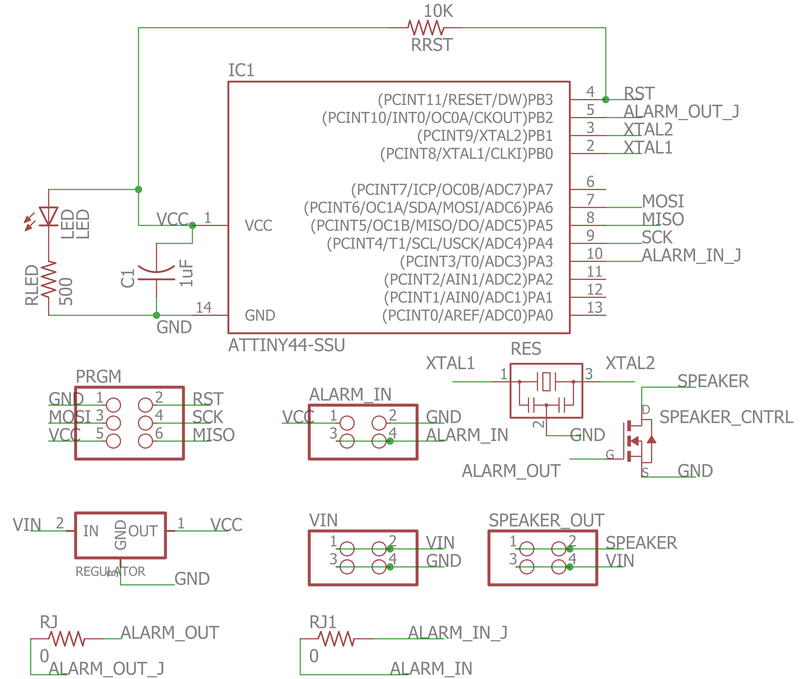 To that end I am going to make a home alarm keypad. 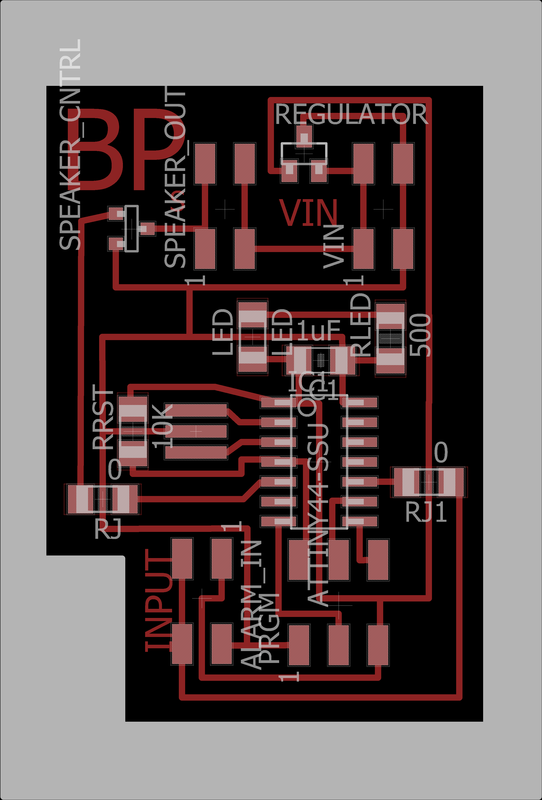 I want it to be able to have a bunch of buttons for input, an LCD for output, as well as a speaker to sound the alarm. Ideally I would also network it to some other sensor that was a door sensor and maybe a motion sensor in the keypad itself. 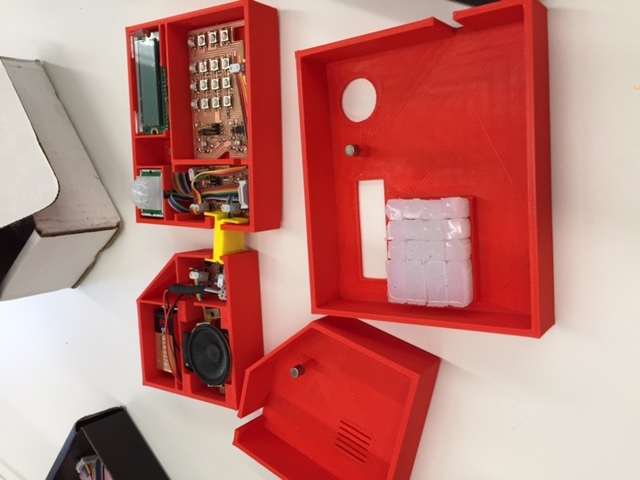 All of this would be housed in a 3D printed housing and would have molded buttons for the keypad. In the extreme it would network over wifi to a home server and email me status updates (but that I think is more of a longer term project). This would cover most of the weeks of this class so I think it will be a comprehensive project! 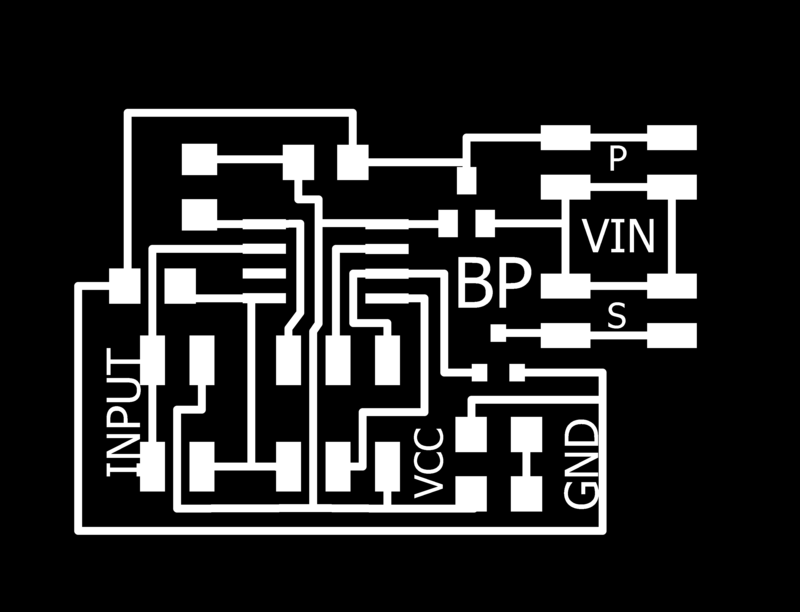 As I have been learning these past few weeks it is very hard to get one Attiny to do a ton of different things without mastering interrupts and timers and all of the other hidden but powerful AVR things. 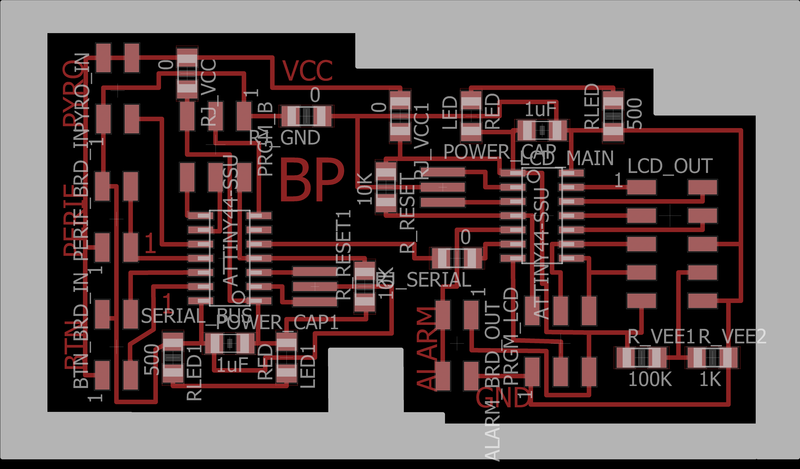 Also, given that I will need a LOT of pins and networking AVRs is a plus in the class I think I will break my project down into subsytems each with their own Attiny networked over serial with the LCD board as the main state machine. On the LCD board, an Attiny44 after all of the LCD pins and clock pins I am left with 3 pins of which two will be used for RX/TX serial and the last one will be a direct link to the speaker. 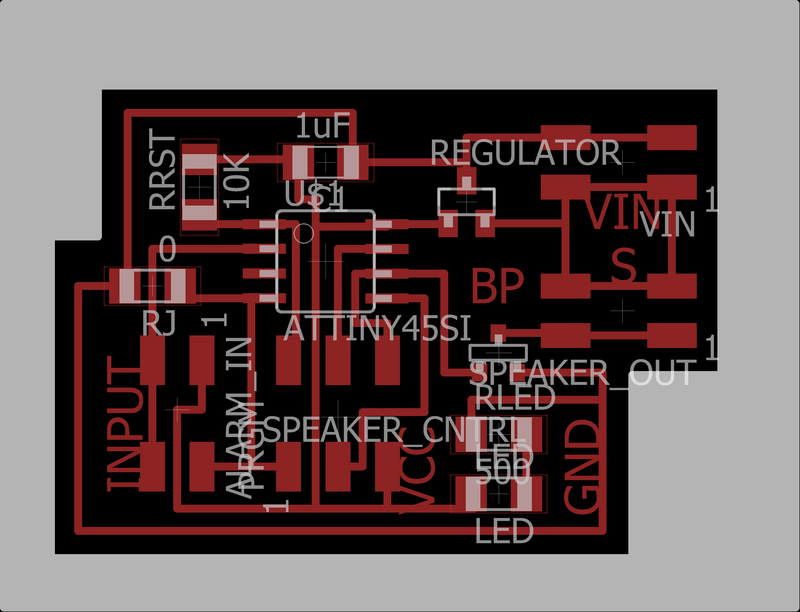 The speaker will be an Attiny45 with one pin to the speaker and one to the main control board as an activation signal. 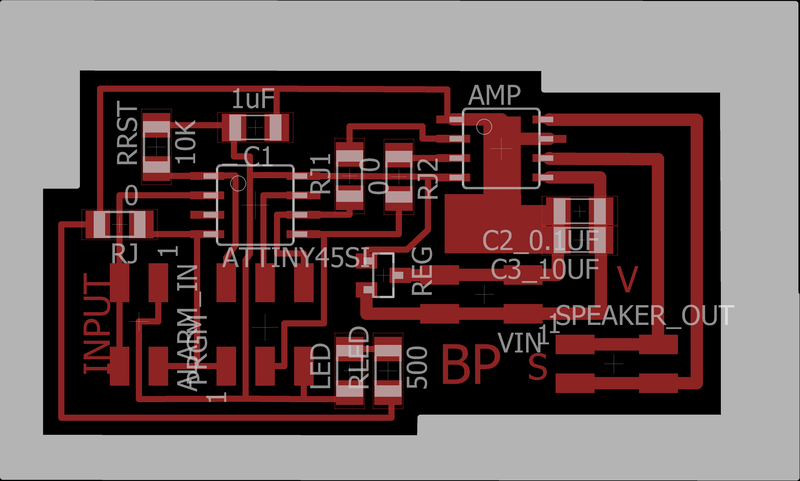 There will be two Attiny44s that cover all of the button inputs and will have 2 pins for RX/TX and the rest connected to various buttons. 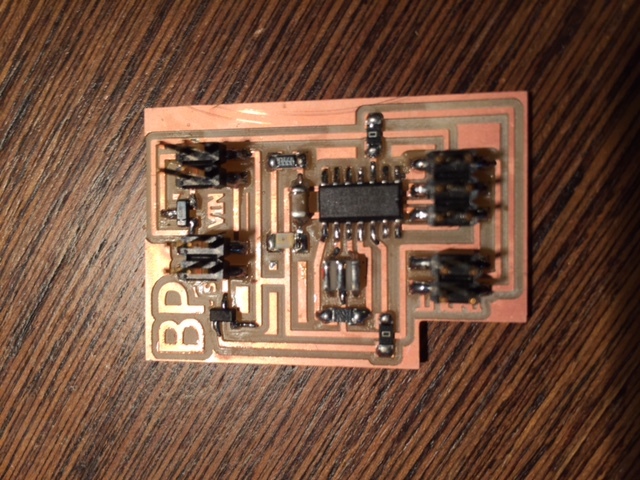 There will also be a board for off chip networking that will be used to do RF/Wifi/etc. 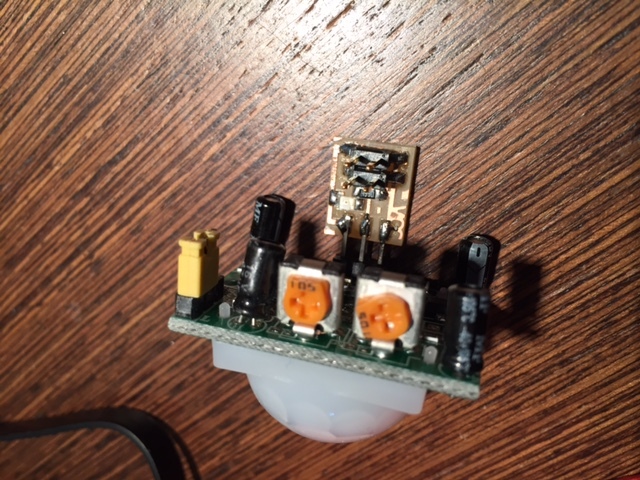 to connect to computers and additional sensors as well as ideally one motion sensor to have on the board itself. Given that each board has dedicated tasks it should be much easier to code each board as there aren't competing interrupts and timers. Also over serial I can send various characters to mean various things. As for the overall aesthetic I think I will keep it quite simple. Probably just a standard rectangular keypad like on a telephone and an enter and backspace button. 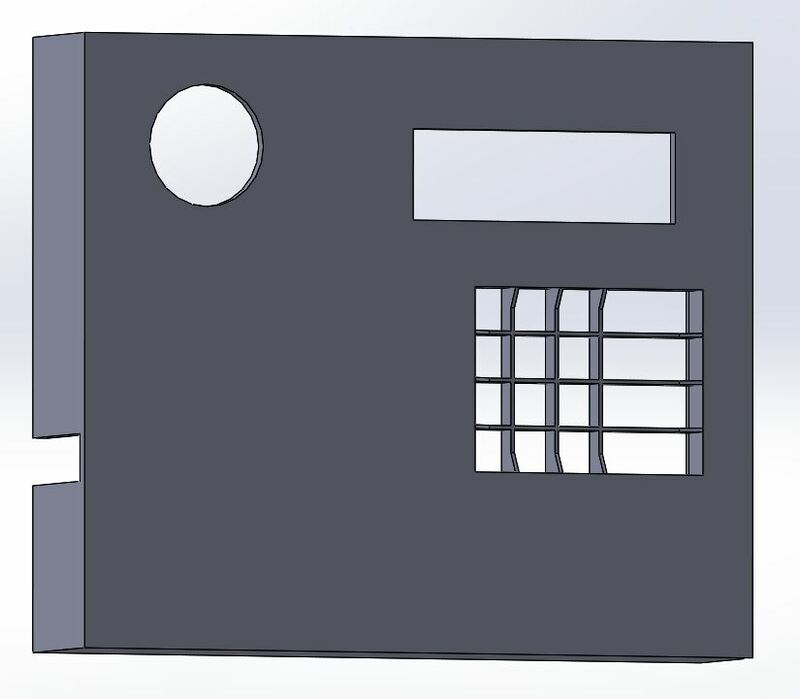 The rectangle will also need slits for a power and armed LED and a slits over the speaker and a space for the keypad and the LCD. I also may want to think about housing the speaker in a way that makes it louder. 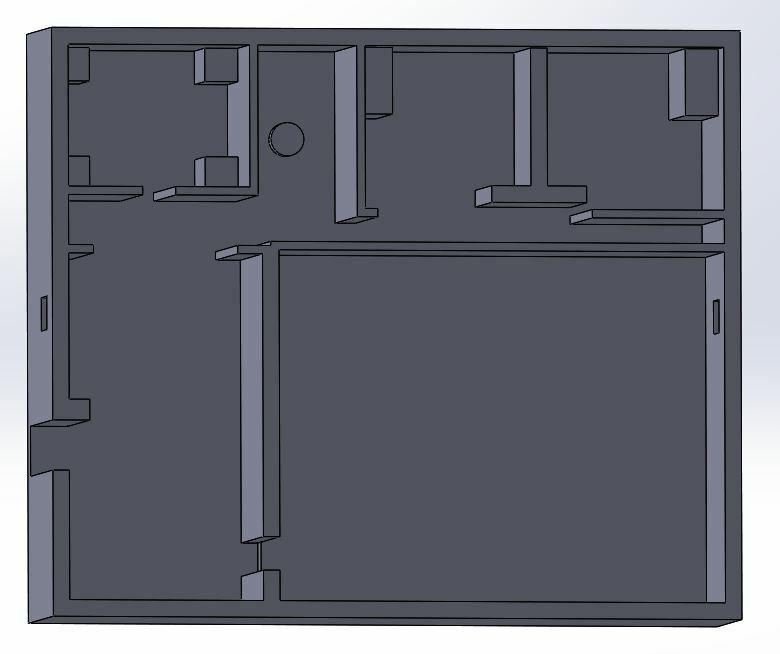 This will probably require a two part 3D print so I can print the faceplate to slot into the back and put the circuit board, LCD etc. in the middle. I also will need a compartment for the battery and a way to change it. 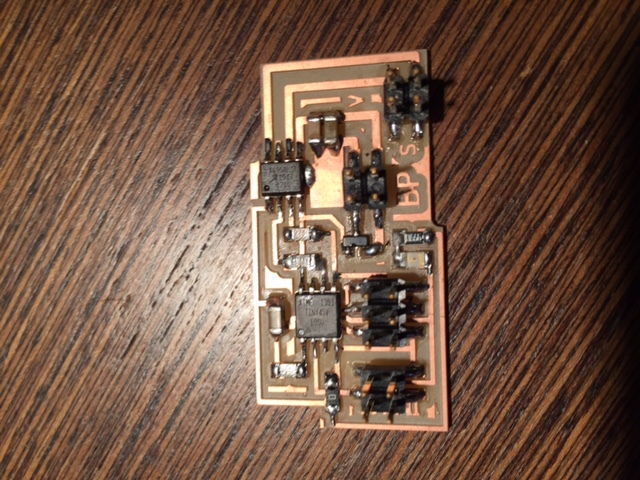 I think I will just go with simple 9V power. If I have time I should probably put together a power level detector to start to notify if the power is getting too low and the battery needs to be replaced. 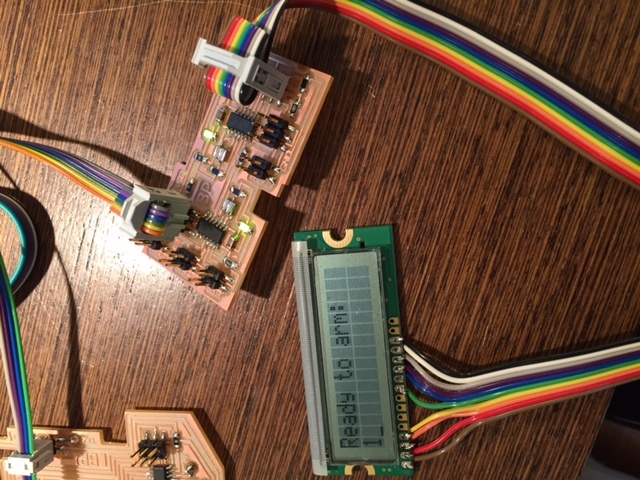 As for progress as of week 11 I showed that I can output to a speaker and to an LCD. In week 9 I learned to debounce button inputs. I am hoping to figure out the TX/RX comms between boards in week 13 and hopefully the Wifi/RF as well (TBD). And I feel confident that at this point I can quickly CAD design what I need for the 3D printing and for the molding and casting. 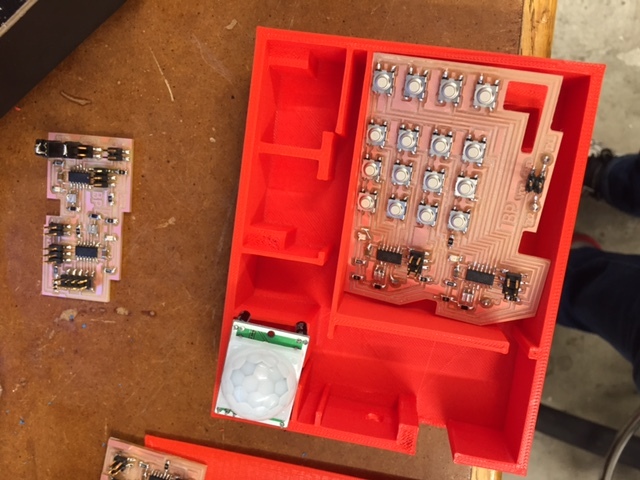 So if by week 13 I have all of the electronics figured out then it will simply be making the final board and testing that which shouldn't take very long and then simply CAD designing the housing and molding and casting the buttons. Again I think this is very doable in the last week or two before it is due as long as I know how to do all of the subparts. Week 13 is going to be critical for me! 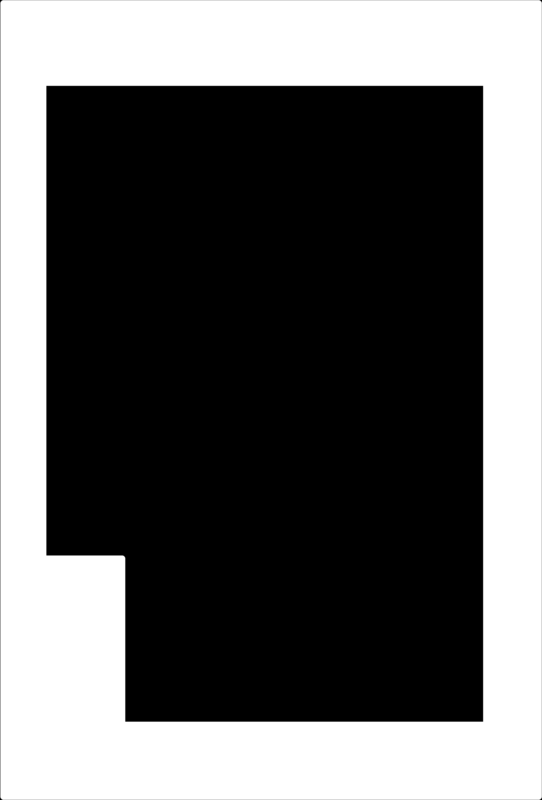 In the meantime I will continue to think about the overall CAD design and work on making sure all of my input and output devices and code are desiged and ready to go!. 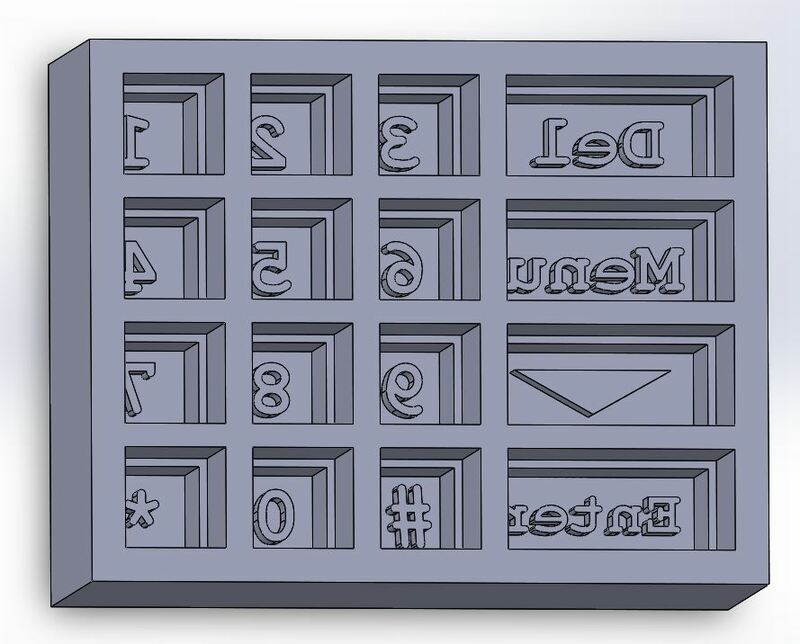 Update my design, mill, stuff, and program a button board for all of the buttons. Update my design, mill, stuff, and program a serial bus board. Update my design, mill, stuff, and program a main controller board. Update my design, mill, stuff, and program an LCD board. Update my design, mill, stuff, and program a speaker board. 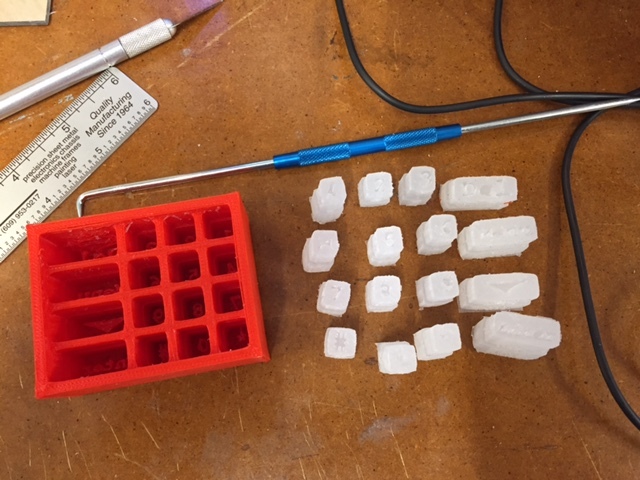 CAD, mold, and cast buttons. 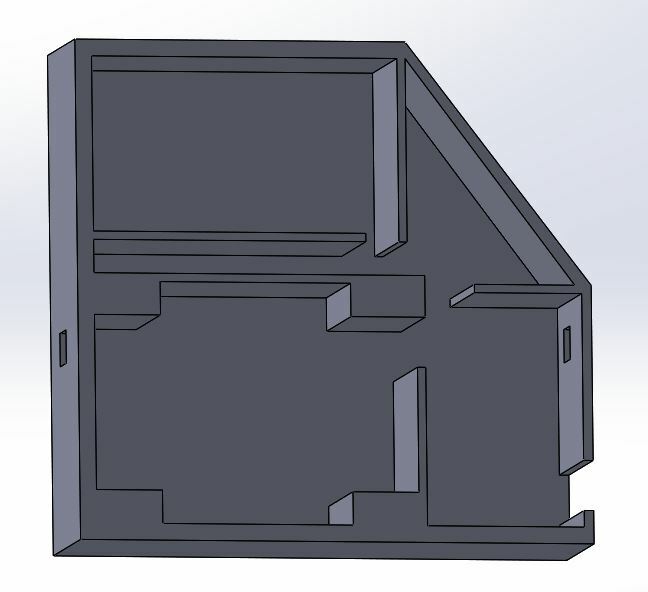 CAD and 3D print an enclosure. It is going to be a race to the finish but I have hope that since I know how to do everything and it is just execution I can get it all done! 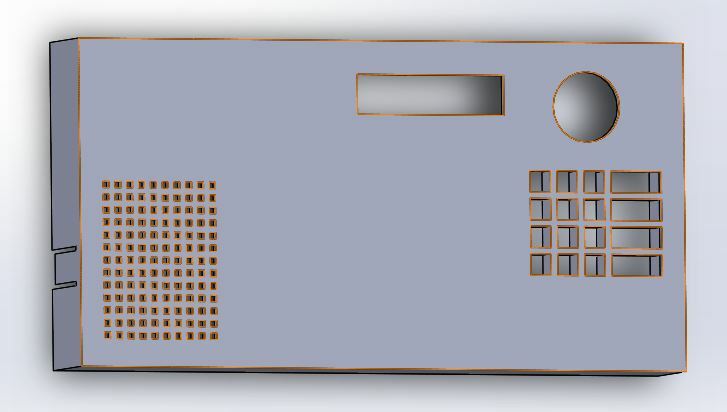 I have gone ahead and designed the boards that I am going to use in my final project. 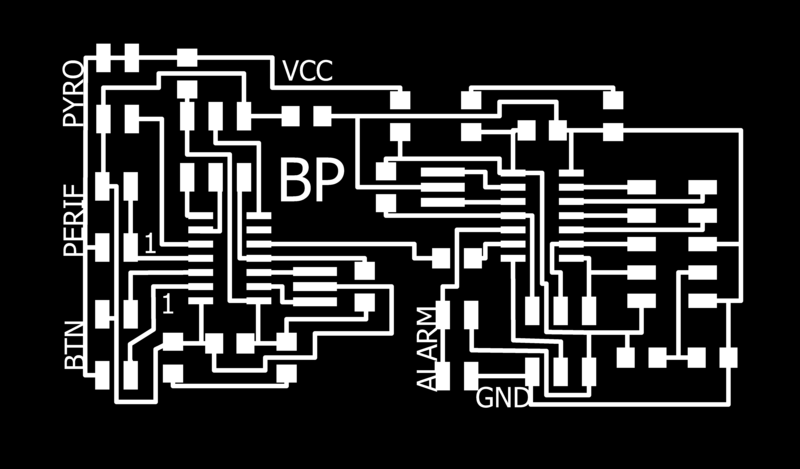 I decided to reduce the amount of boards from my final concept down to fewer integrated boards. My final list of boards, their status and design follow. In general if you haven't been following along from week 1, I decided to use Eagle for all of my board designs. 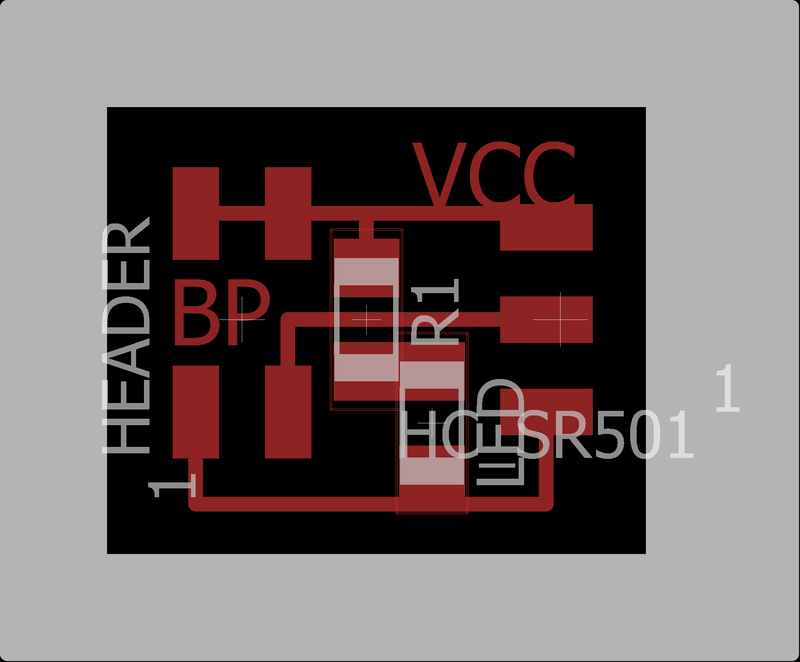 I strongly suggest look at the SparkFun tutorials on Eagle to get started if you haven't used the software before as they step by step explain how to use eagle well: schematic engine and board layout engine. I also exclusively used the Roland Mill which I have fallen in love with. I find operating it very easy at this point. Once you get the handle of zeroing the bits and replacing them it is mostly plug and play given that the fab modules do all of the calculations for you. 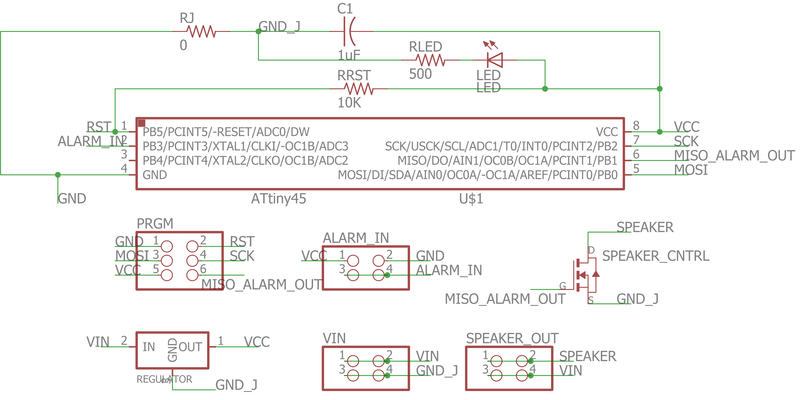 For more comments on my learning electronics production basics look at Week 3 and Week 5. For more comments on my learning AVR coding look at the electronics weeks: Weeks 7, 9, 11, 12, and 13. I ran into an issue with fabmodels in that in Chrome it crashed and couldn't handle the size of the traces picture. This was very surprising to myself and to Neil. Despite the fact that I used an overly large DPI, the image size in absolute pixels should have been supported by fabmodels. That said, after a lot of confusion and attempted debugging, I switched to Firefox and was able to get fabmodules to produce a path! Not sure why Chrome has a memory issue where Firefox doesn't but it did. Unfortunately, since I was having so much trouble getting fabmodules to produce a path, I didn't check it for errors before I milled it and therefore I had some. First, there are two shorts on the board. The first near the programmig pins for attiny2, and the second near the 0 ohm jumper near the programming pins for attiny1. 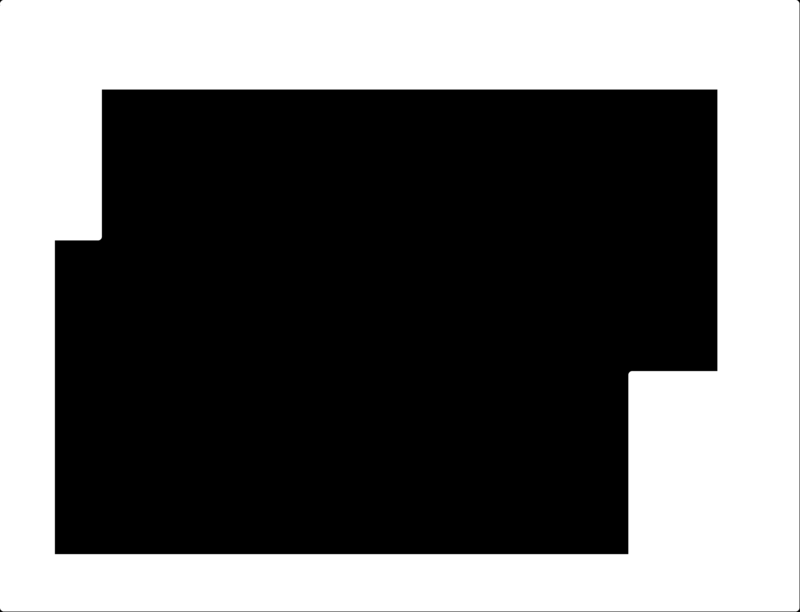 Second there are two cut connections. The first, under one of the buttons doesn't matter as the button itself serves as the connection. 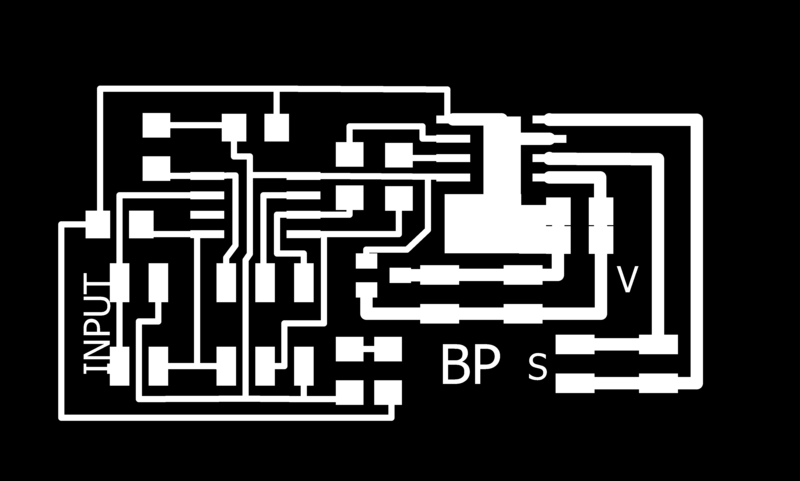 The second needs to be bridge with a bit of wire and is the source of ground for attiny1 near its LED and needs to connect to top row of the nearby buttons. Second, the vias it cut were too big. However, I decided to just run two wires across the back of the board and using a copper rivet and the wire and LOTS of solder it easily all attached and kept a good connection even with too large of an initial whole. Therefore once all of those mistakes were fixed it worked with 5v power. To check our code to see if it is working on its own I use the python-serial library from the command line with its built in miniterm. To do this you simply need to type: python -m serial.tools.miniterm [PORT] [BAUD] replacing PORT and BAUD with the appropriate port and baud rate. If you use Neil's put and get char the baud is 115200. On linux the port is usually /dev/ttyUSB0 if you have used a USB to FTDI adapter and on windows you can run 'wmic path Win32_SerialPort' to find the port (credit to the internet for that one). They are usually COM# where # is the number of your port. Mine happend to be COM7. If you pick the wrong port the miniterm will simply fail so you'll know you got it right if it doens't throw an error. To double check if you think you have the correct one, unplug the USB you will get an error that the port was forcibly closed. When checking my code for the button board it worked perfectly! 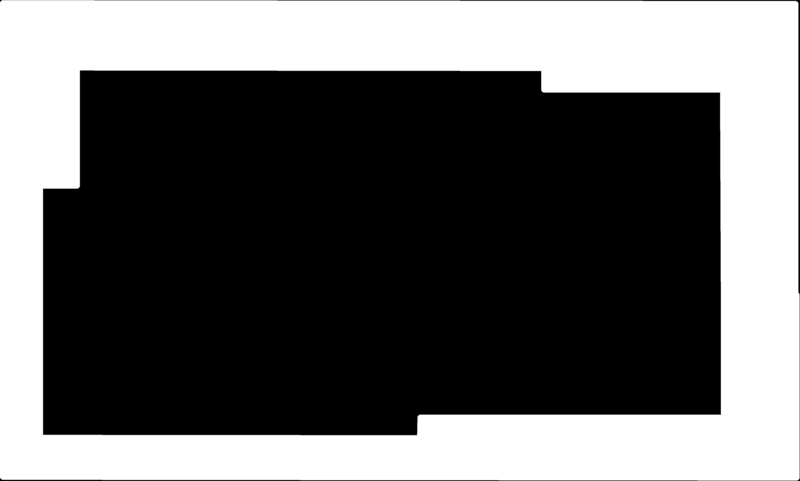 Here is the final C code and here is a Makefile to use with it. To use the Makefile simply run 'make' and then 'make fuses' and then 'make program' first changing the project definition in the first line to the name of the C file (button_brd). This Makefile can be used in this way for the rest of the boards as well. One quick note on the code is that I used the #if #else #endif to allow for one flag value to be switched and then the buttons are mapped to a different set of values. In this way I only had to change that one value and then I could program the other board. I first decided to program my serial bus building on my experiences and learning in Week 13. Given all of my learning there I assumed it would work immediately, but it didn't. I quickly realized that the error was that since I had no periferals board plugged in the input pin there was always low and thus always signaling a new serial input throwing things off and producing ugly output becuase ASCII 0 is a special character. I determined this because I plugged the board into the computer and used the serial monitor again and for the RX pin touched the output line wire wiht a wire attached to the RX input and saw tons of invaild outputs happening thousands of times a secocnd (quick side note: this really helped me understand why security researchers say that if an attacker has access to your hardware he can ready anything you do because it really is as simple as touching a wire tip to a data line and one can see everything that goes over it!). 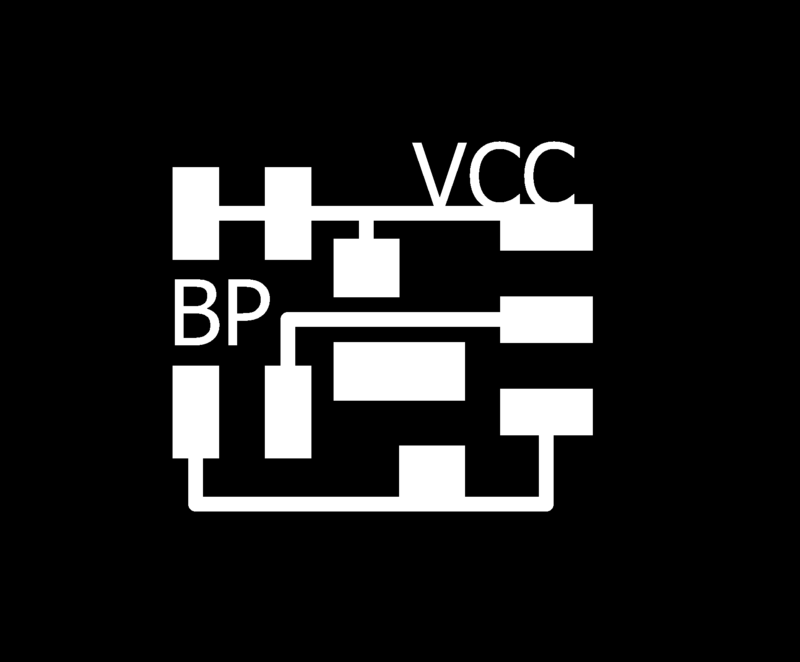 I decided to build a header that ties the peripheral input to VCC to keep it high. I also commented out the check for periferal input for now to keep it even simpler and more consistent. With that fix in place I was getting all of the right button values passed through the serial bus to the main controller! My final serial bus code can be foud here. With the basics inplace I designed a state machine to handle the various states of the system. I remapped my buttons to special values to allow me to move my state machine around to any state for resting purposes and it all worked great (and then I moved them back to the values they should be). 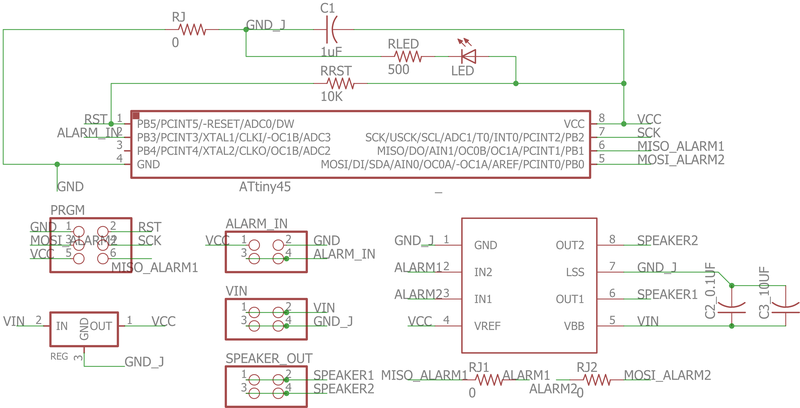 I even figured out how to use timers which had always confused me by using the this tutorial (which I then leveraged again in my alarm board). I needed to use these times to allow for asynchronous input from the user via the buttons and synchronous countdown when the alarm was triggered. One other thing I noticed in testing is that I needed to update my LCD as few times as possible as the blocking update of the LCD screen would clobber new serial inputs that occured during an update (as a side note this also reduces computations and thus saves power). So by moving the re-draw into only a need to do basis I had the whole state machine with buttons and timers working! :)! In my initial testing I was never getting any values back from the pyro sensor which was bizare to me. 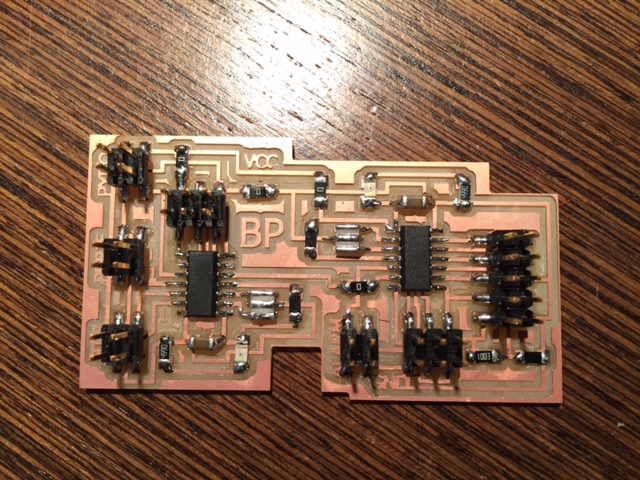 I therefor milled a second breakout board and attached female header pins instead of soldering it directly on to check and see if I just had a broken pyro sensor. The second one worked so my assumption was that my first pyro sensor was defective. 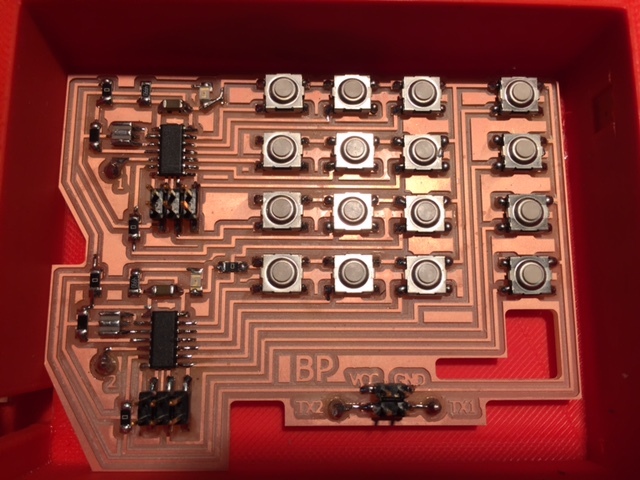 Therefore I desoldered it so I could solder the working one directly onto the breakout (because my enclosure didn't have space for the female header pins and then noticed a short on the breakout from rouge solder. Fixing that rouge bit of solder fixed it and the original sensor worked just fine. One weird final note on the pyro sensor is that while they often work well, they sometimes seem to time out for a while so in practice with everything integrated I kind of need to move a lot and flick the sensor to get it to go off. That said, it does always eventually go off and then my serial bus board reads the signal and sends the alarm command! I then tested with a multimeter the alaram signal output which went high on alarm time and was low otherwise so I called the main board fully functional and working! 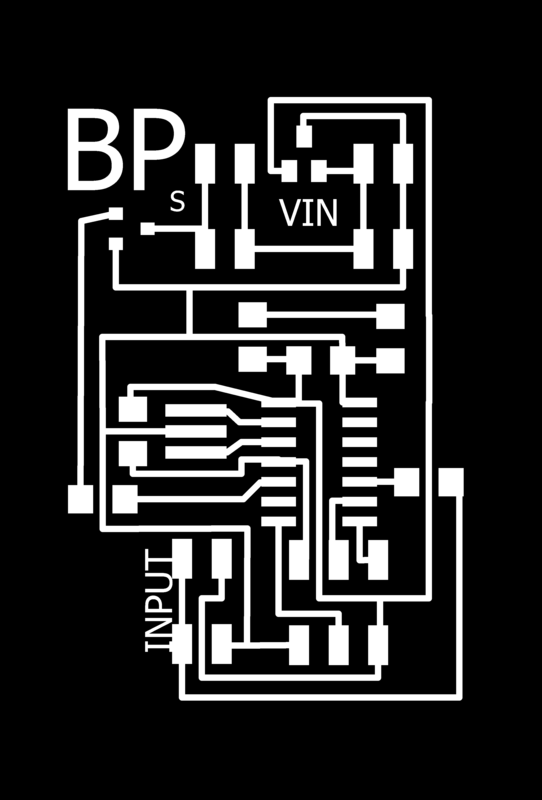 Here is my final main controller c code. For now I am leaving the periferals board as an extension if I have extra time. I really at some point want to add networking to two door sensors so I can monitor both doors and not just rely on the motion sensor in the keypad. This will all need to be networked through bluetooth, RF, or wifi. Therefore, I left space for the peripheral input for this communication. I envision another board that does the long range comunication and sends the update over serial. I also am just realizing that if I want to add a second controller board at the other door I will need to update my board to allow for serial out from the main controller to the peripheral board as well. I leave this as a todo if I get to that even further extension step. That all said, since my serial bus can handle the multiple inputs it has now, once this board is working it will be simply a plug and play operation and it should all be fully functional! I had one issue in the milling in that when I inverted the outline it added additional cutting lines which didn't hurt my board but removed enough of the border that the tiny board I had did not have enough additional tape holding it down and it spun up into the air. By pausing the job and adding longer pieces of doubel sided tape after the unneccesary initial cut I was able to get it to stay down and mill out. 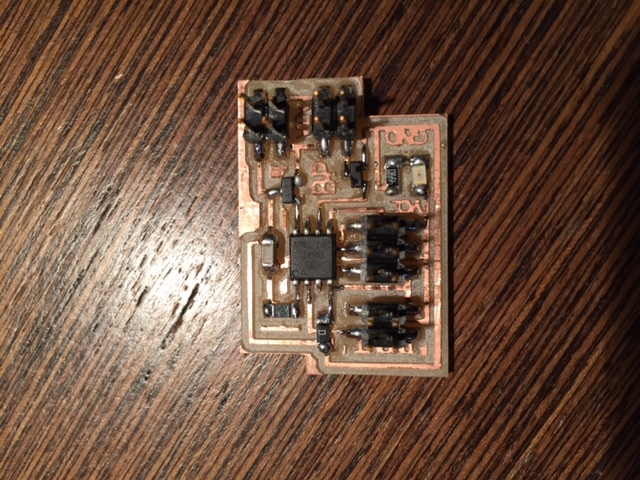 I quickly programmed the board with the correct code for the attiny44 timers and it STILL DIDN'T WORK! 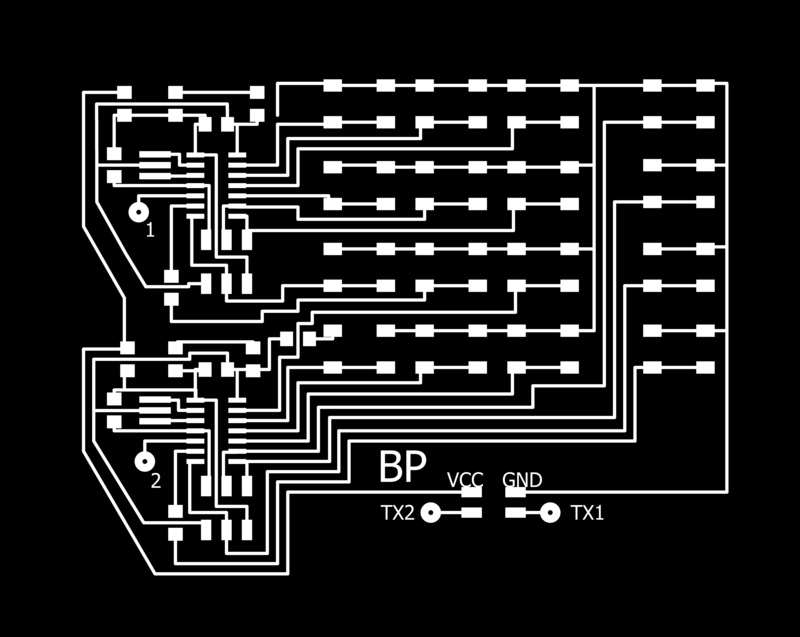 I then went through the code line by line and noticed that all along I had the pins labeled incorrectly -- *facepalm* -- and once I fixed that it worked perfectly. Given this silly mistake I assume that v2 for sure and maybe even v1 will work if programmed correctly which is why I still left all the files above if anyone wants to experiment. 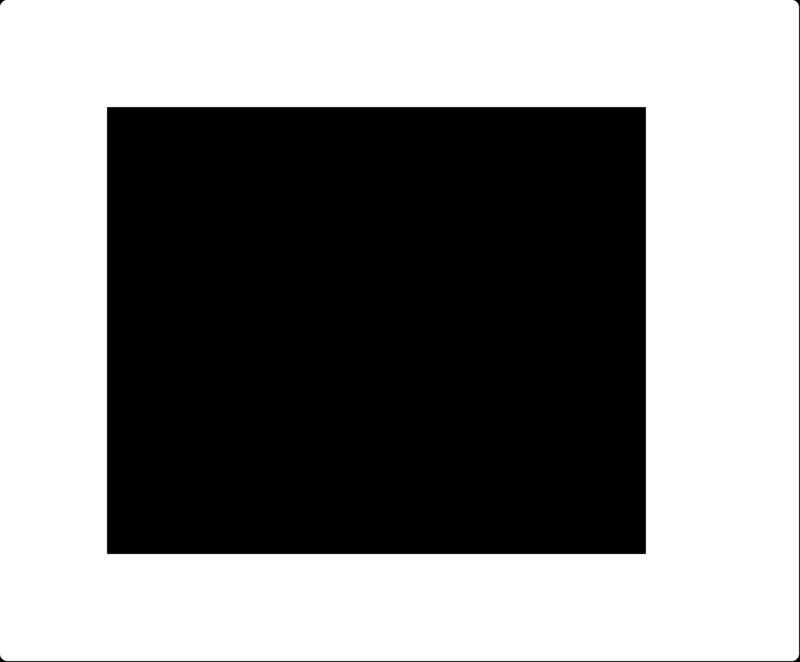 Here is my final c code and the Makefile from the other boards can be used here again. As mentioned in the main board sections this will be completed only if I have time which at the moment it does not look like I will. That said I intend to do it in the future and hopefully come back and update this page. I've been using Solidworks for my 3D printing since week 1. I found it very unintuitive at first but very easy after using it a bunch. If you end up using it have faith things get better! It is really really good for multipart things as you can design each as a part and then assemble it as an assembly. In general using equations and variables are your friends because it makes things parametric. For more comments on my learning CAD design and Soliworks look at Week 1 and any of the other non-electronics weeks. When attaching the magnets I glued them onto one side first with superglue and then let it sit for a couple of hours. Then I put the second magnet on the first and drew black Sharpie on the free side. By then closing the top if my calculations were correct there should be a small dot of black on the exact spot I want to put the other magnet. In both cases it worked perfectly! :) Then I just glued the black part down. This ensured I put the right polarity on each side of the glue and that it fit! Finally I decided to print a small enclosure connector so a robber can't snip the power wire running in between the two halves. 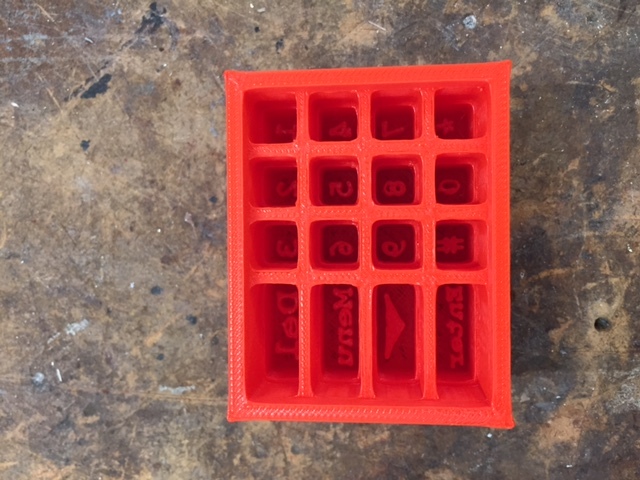 I made a simple design in Solidworks and then printed it in 20 minutes on the 3DWox. It worked perfectly per usual, I just forgot to account for the overhang from the tops and it was too short. I was heading out for the weekend so decided to just do it on Monday since it only takes 20 minutes. 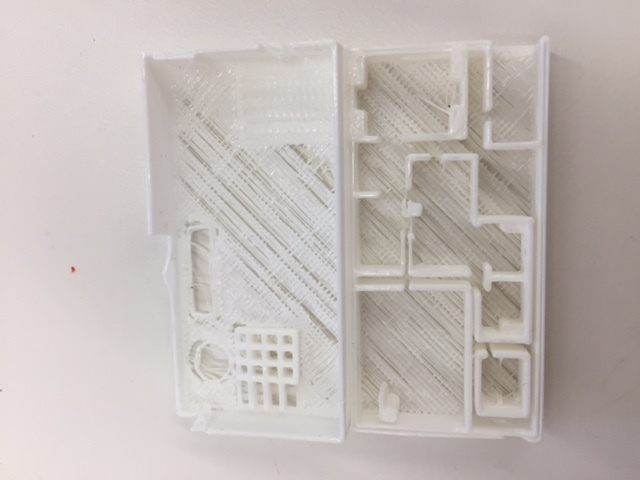 On Monday I came back and printed that final part out no problem! Now I have a finished assembly!